This wonderful exhibition looks into the architects who refuse to conform to the norms of mainstream architectural culture. 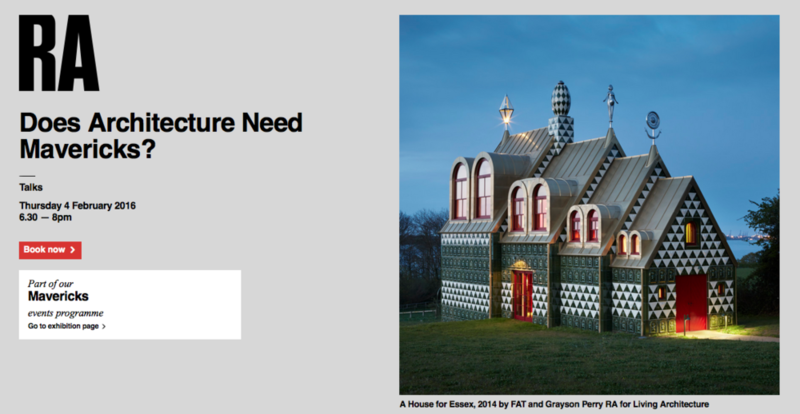 In celebrating the work of 12 British architects, the RA features the amazing practice FAT Architects, who we worked closely with in the making of Grayson Perry's A House For Essex whilst at Shaws. We're extremely looking forward to experiencing this exhibition and have no doubt that it will be highly fascinating display. Charles Owen Hopkins introduces 'Mavericks' and chairs a debate exploring the role of unorthodox approaches and original thinking in architecture.